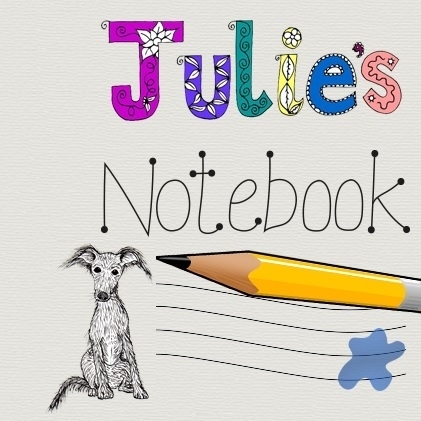 So, my first self written post on the Wife’s blog. I’m pretty sure you won’t want to read about servers or networks (the day job), nor will you probably want to see my modelling (although I don’t promise not to write about that) so all that leaves me really is the only other thing I’m good at; cooking and/or baking. So here goes. 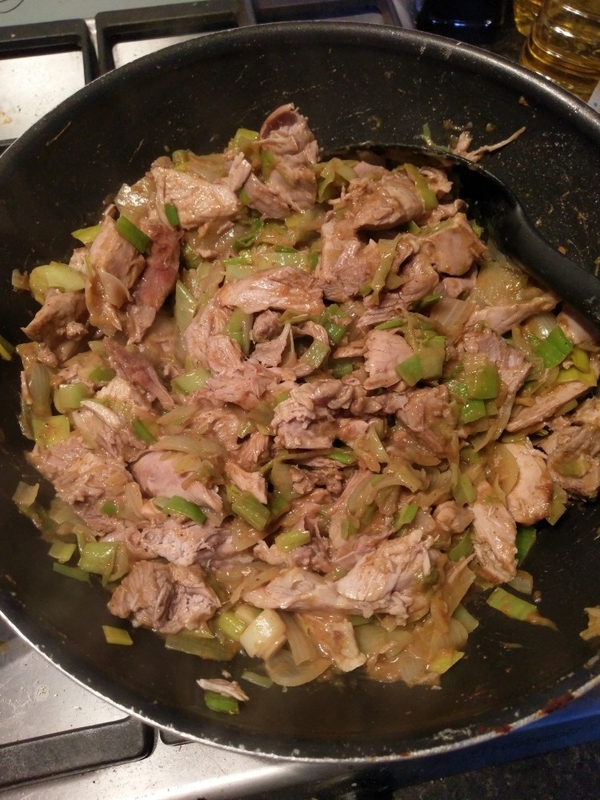 Tradition in our house on Boxing Day is that the left over turkey is diced, mixed with onions, leeks, spices and cream and cooked as a pie. 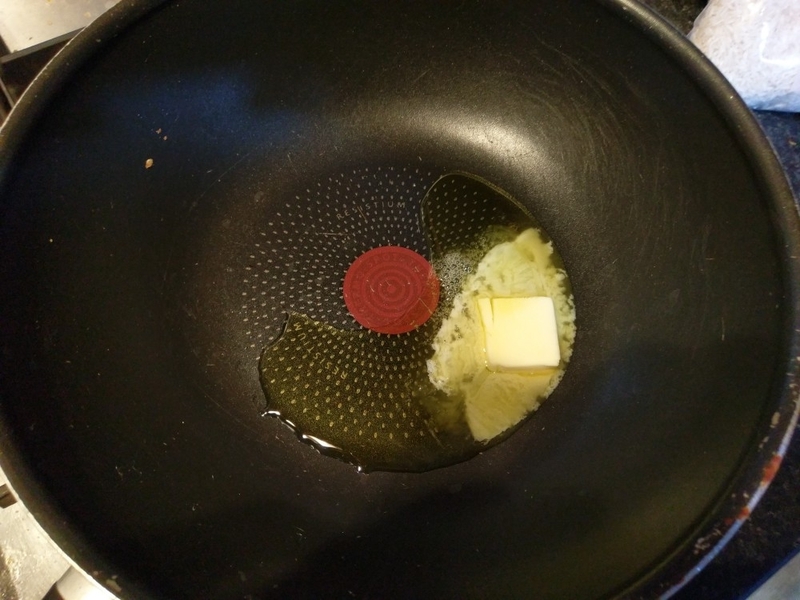 Gently heat the butter and oil in a deep non stick pan. 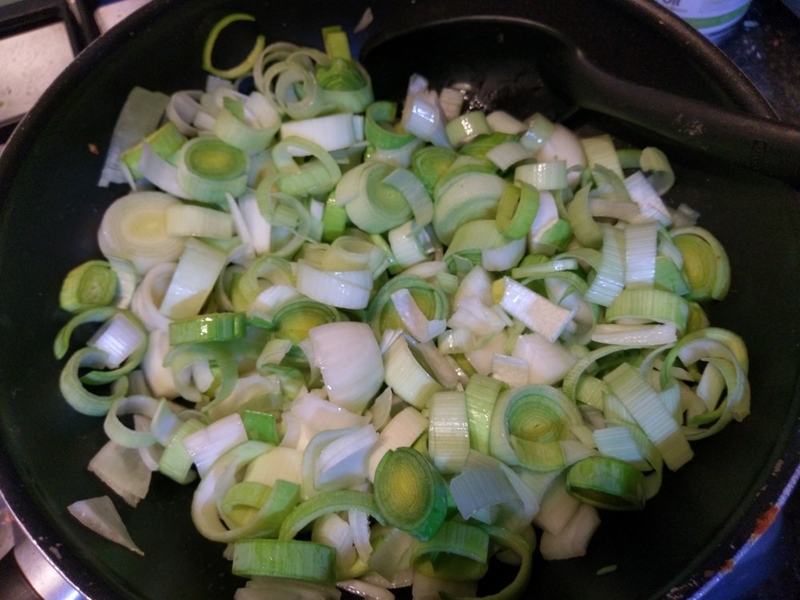 Add the sliced onions and leeks, and cook gently until soft. 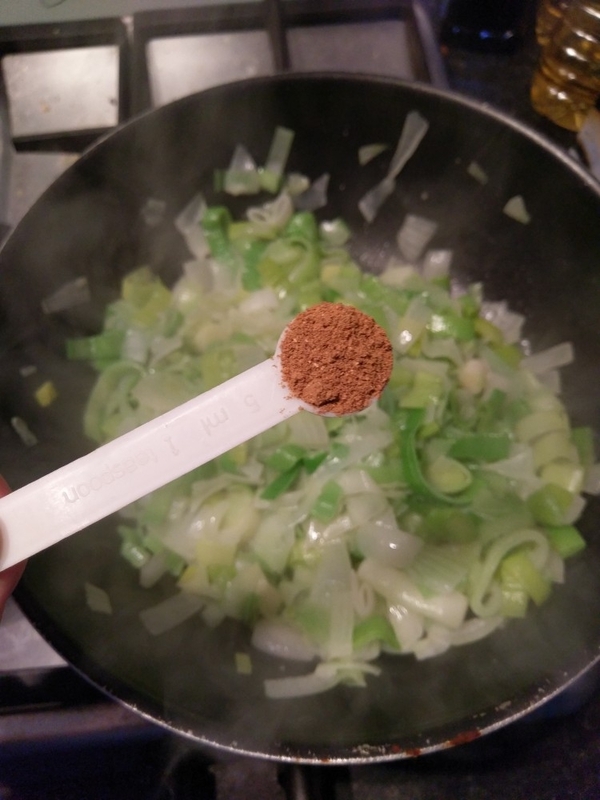 Add curry powder to taste, dependent on how much flavour you want. 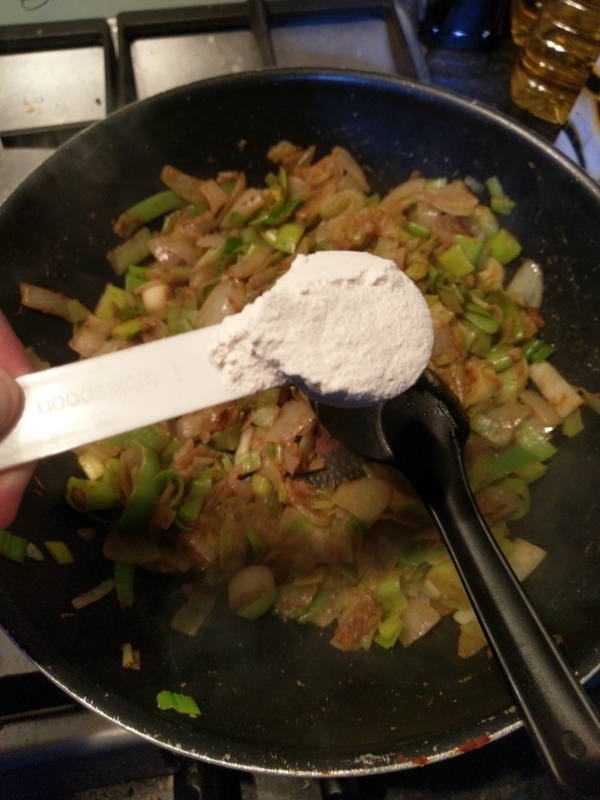 I would suggest at least 2 teaspoons, but I used 3 tablespoons of medium curry powder this time. Stir well and cook for 2 to 3 minutes. 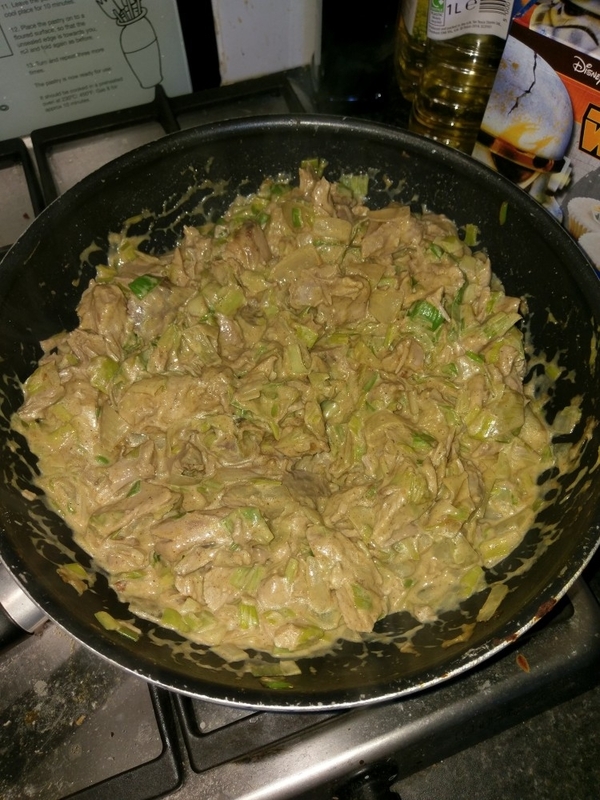 Once done, add the flour and cook for a minute stirring continuously. Add the stock to the pan and stir until simmering. Simmer for 1 minute then turn off the heat. 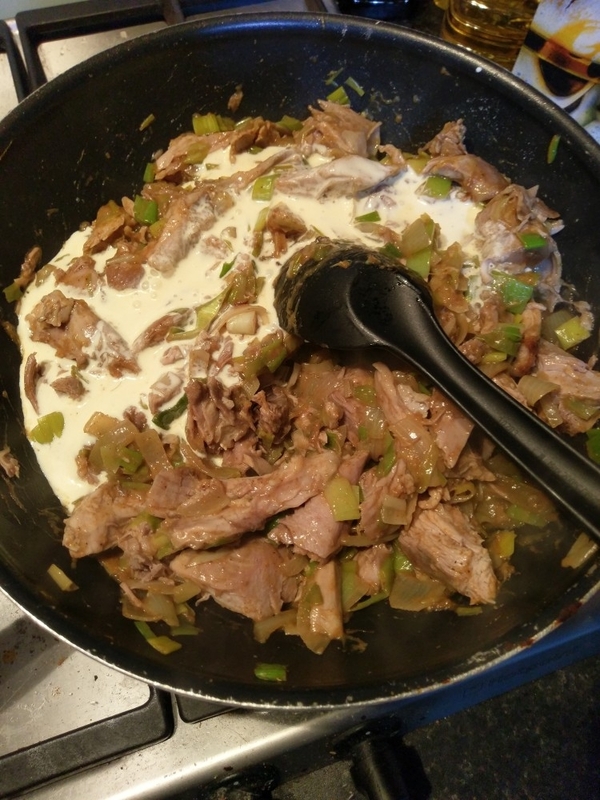 Stir in the diced turkey and then add the cream, enough to make the a sauce but not so much that you end up with a soup. Leave this to cool whilst you prepare the pastry. At this point, I would normally make my own shortcrust pastry for pasties (if I was making Cornish pasties), or a puff pastry for a pie. 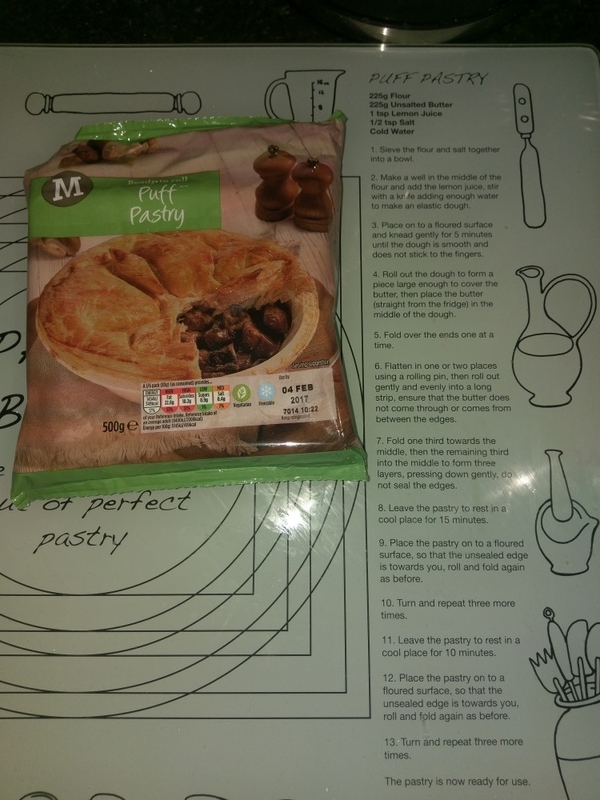 This weekend I was pushed for time (I had to work on the Saturday morning / early afternoon) so this time I cheated and bought ready made puff pastry. There is of course nothing wrong with buying ready made pastry, it can be a bit of a faff to make your own, but I do like to make most things myself. And of course, there are other brands of pastry available, I just happened to be in this particular shop when I bought it. Take a quarter of the pastry and roll it out to a disc about 25cm in diameter. 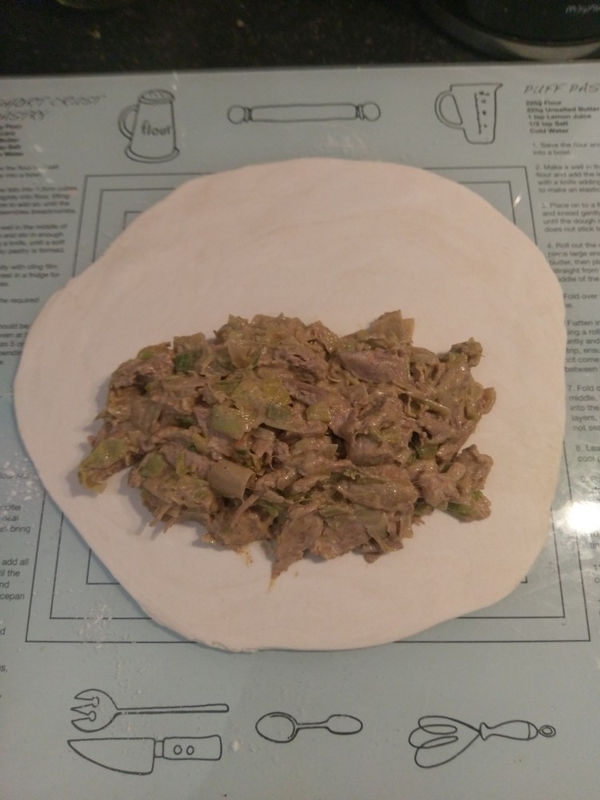 Take a quarter to the prepared turkey curry and place it in the lower half of the disc, allowing 4 or 5cm for a lip. Fold over the top of the disc and press the pastry together on the lip. Starting at one side or the other, roll the lip over on itself to make a crimp. I’m pretty sure you can do better than I did below…. Grease a baking tray, line it with baking paper (not grease-proof paper). Put the finished pasty onto this tray. 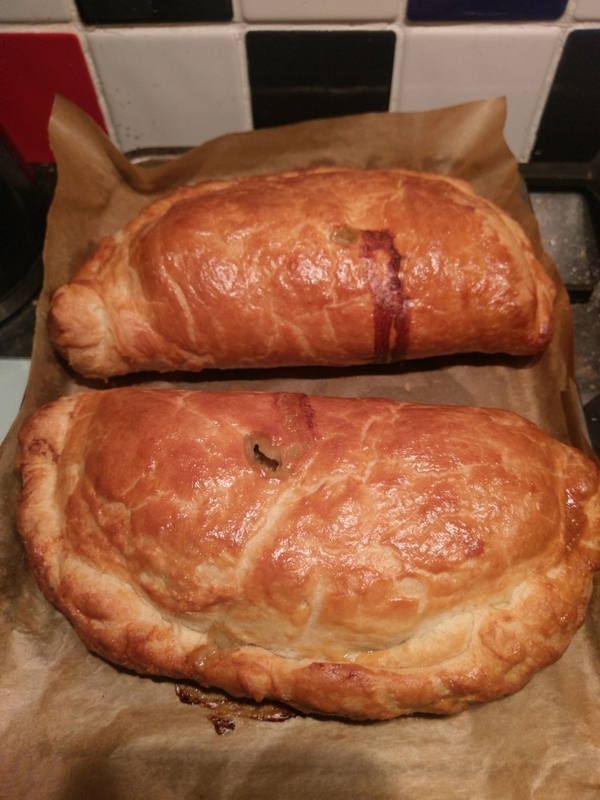 Repeat with the rest of the pastry and curry to make 4 large pasties (or if you prefer 8 smaller pasties). 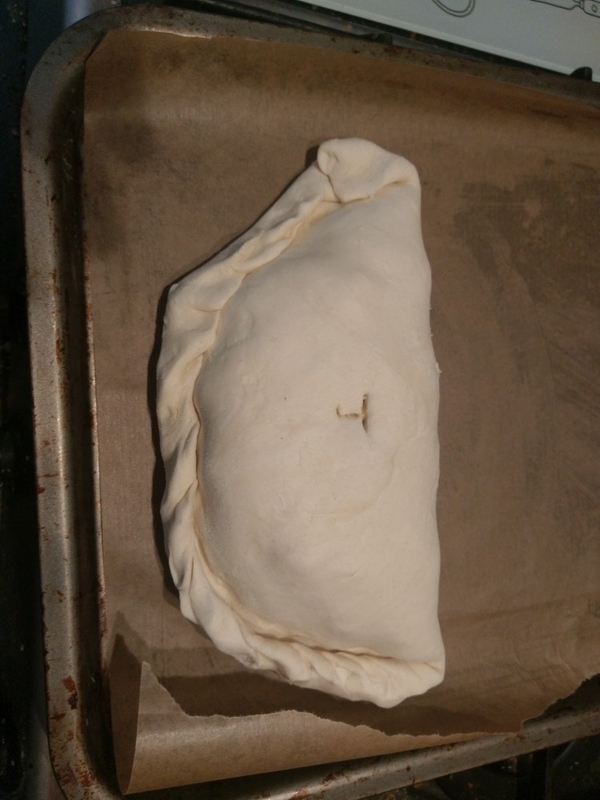 Make a slit in the top of each pasty (I put initials so I know whose is whose if there are different ingredients). 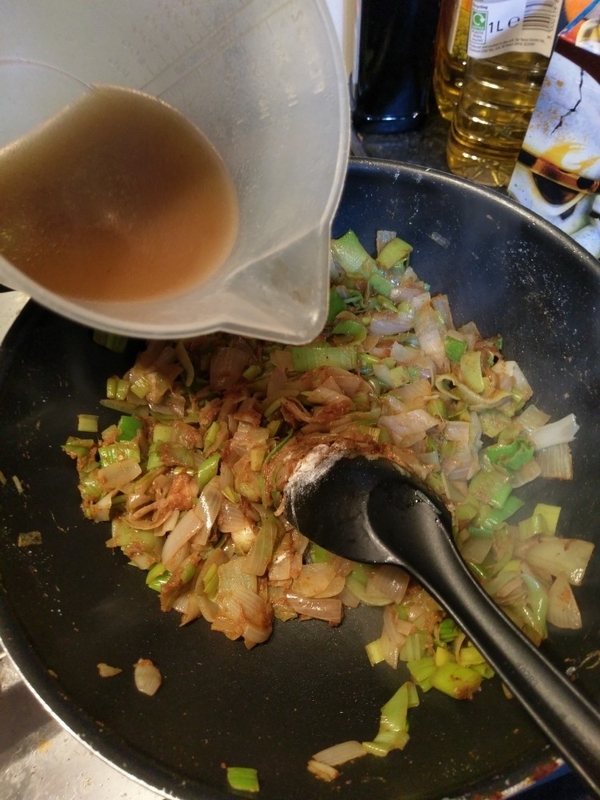 Beat an egg with a little salt and brush each pasty with this mix. Note – If you want to turn this into a pie. take a square tin about 10 inches across. Roll out 2/3rd of the pastry and use that the line the tin, leaving a small amount over hanging the edge of the tin. Place the turkey curry into the pastry, roll the overhang back onto the curry. Roll out the rest of the pastry to make a lid and place this on the pie. Put a slit in the top and brush it with egg wash, then cook for 40 minutes at 200°c. It is so pretty and looks so yummy! I think its fun to make my.own puff pastries, i do it when i make homemade chicken pot pies. Leslie recently wrote… 6 Ways To Take Care Of Yourself This Winter. ← Microscooters are for grownups!